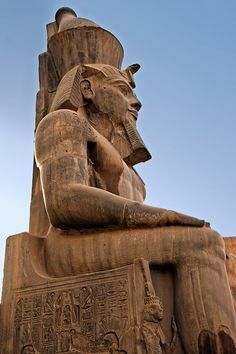 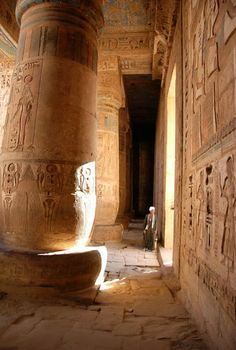 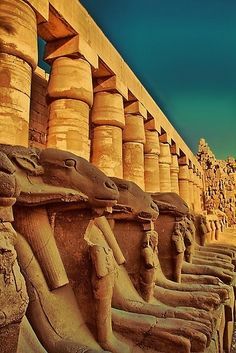 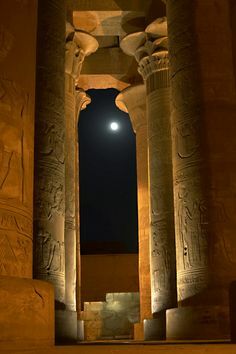 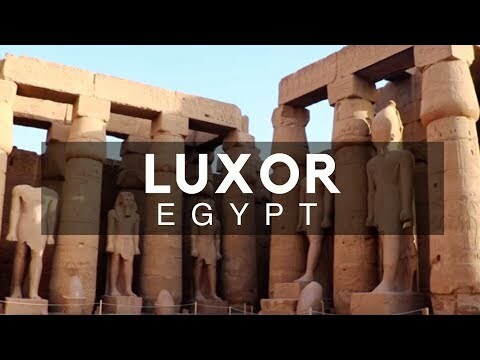 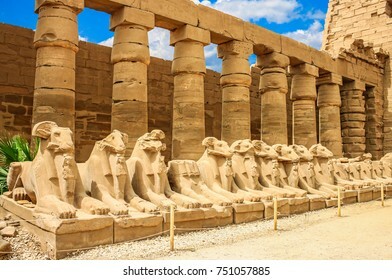 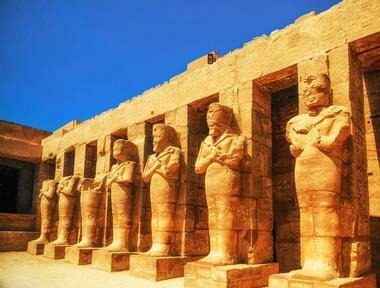 Famous ancient ruins of Karnak temple in Luxor, Egypt. 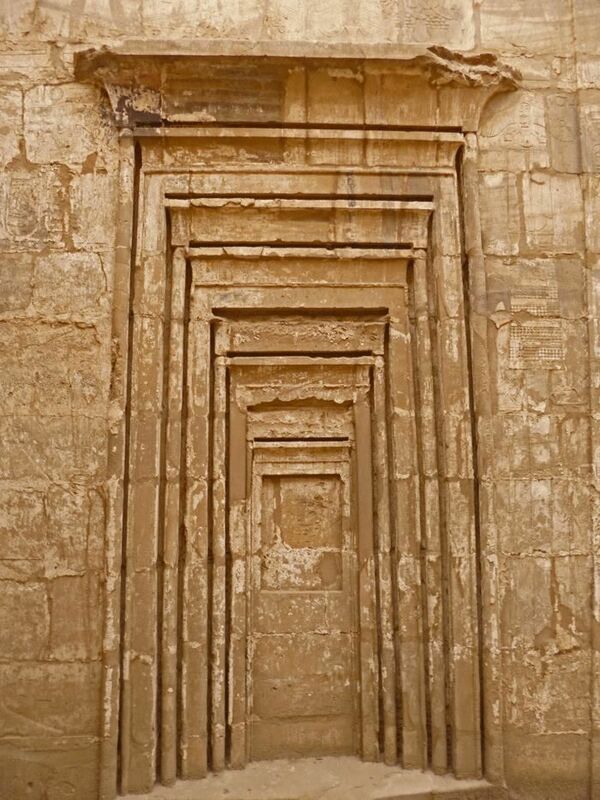 Entrance to the temple. 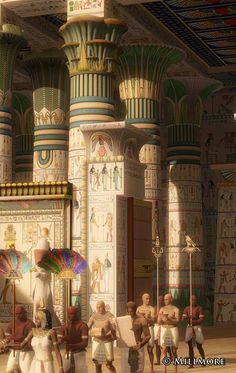 For more than 1000 years far into the new Kingdom pharaohs of Egypt continued to honor the God Ra by placing obelisk in their temples. 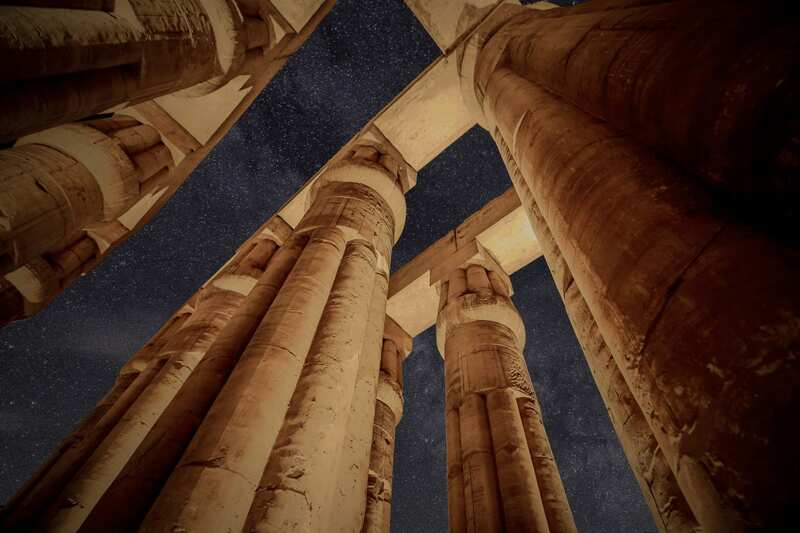 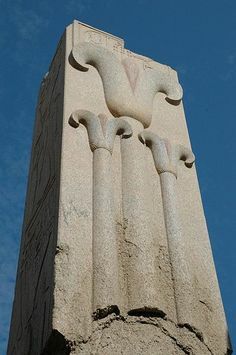 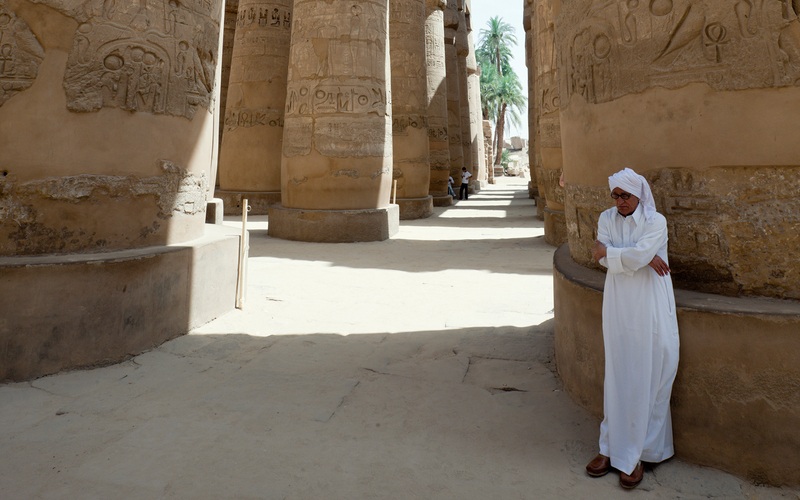 Massive columns tower over visitors in the Karnak Temple complex, where celebrations honored Amun, an Egyptian god of life. 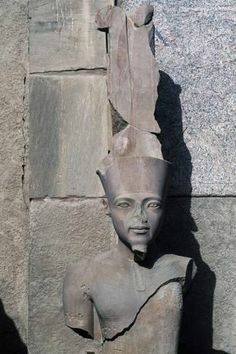 Fragment of a stela showing Amun enthroned. 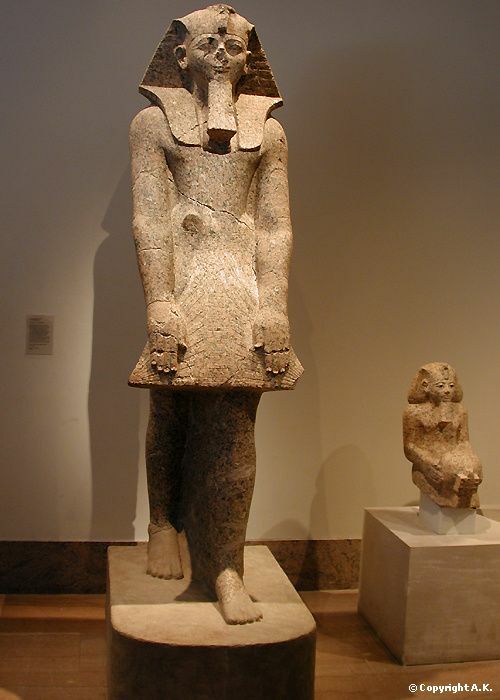 Mut, wearing the double crown, stands behind him. 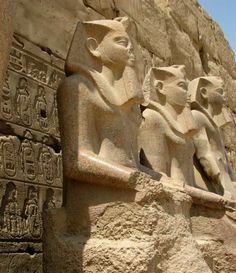 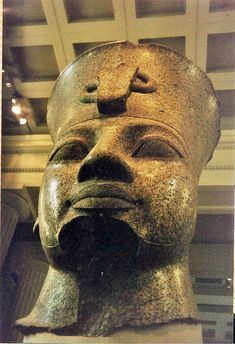 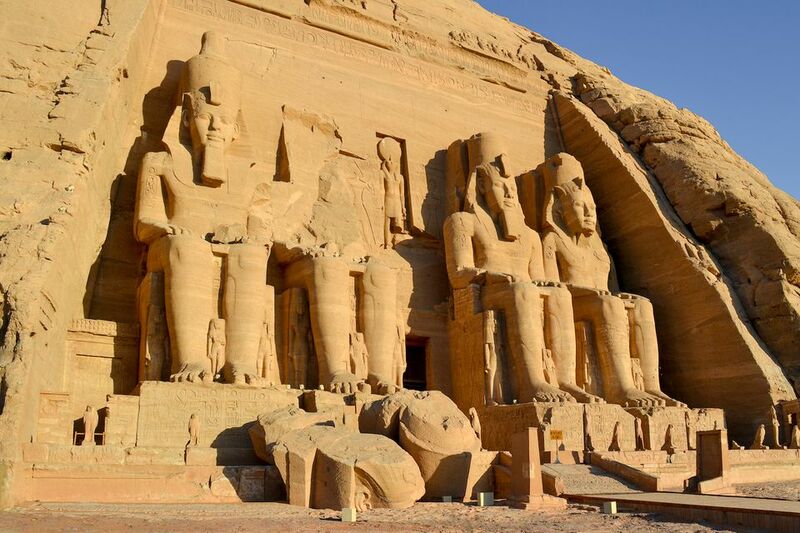 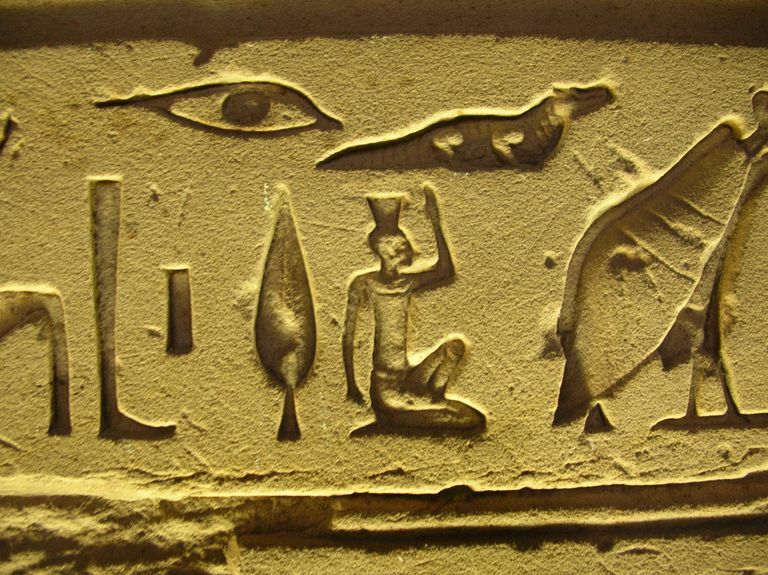 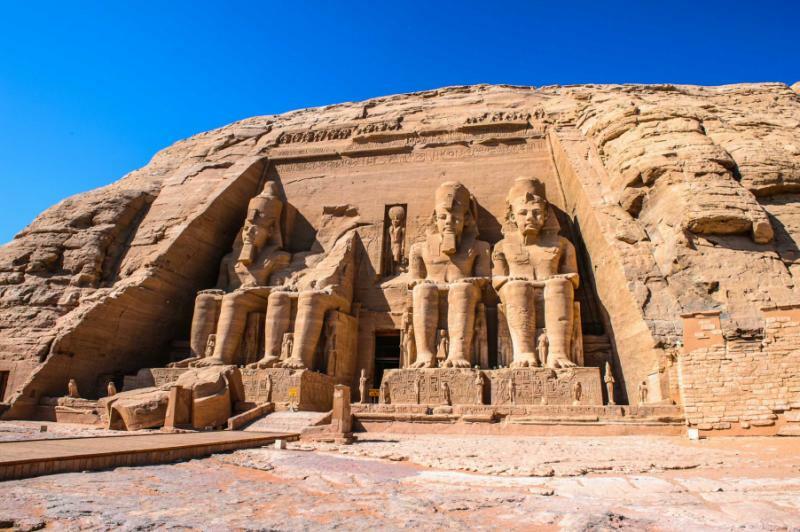 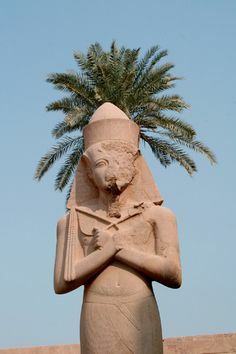 Both are being offered by Ramesses I, now lost. 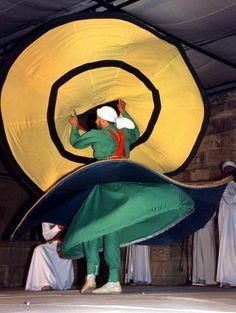 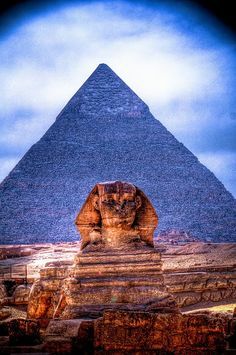 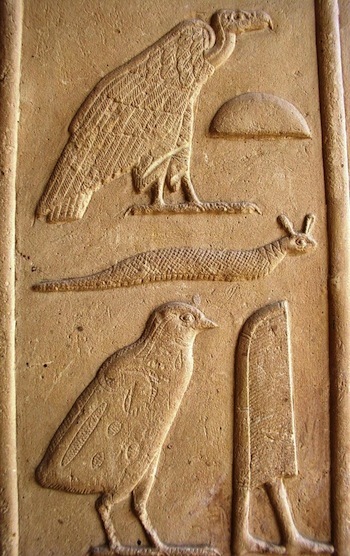 From Egypt. 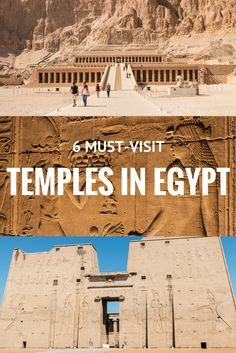 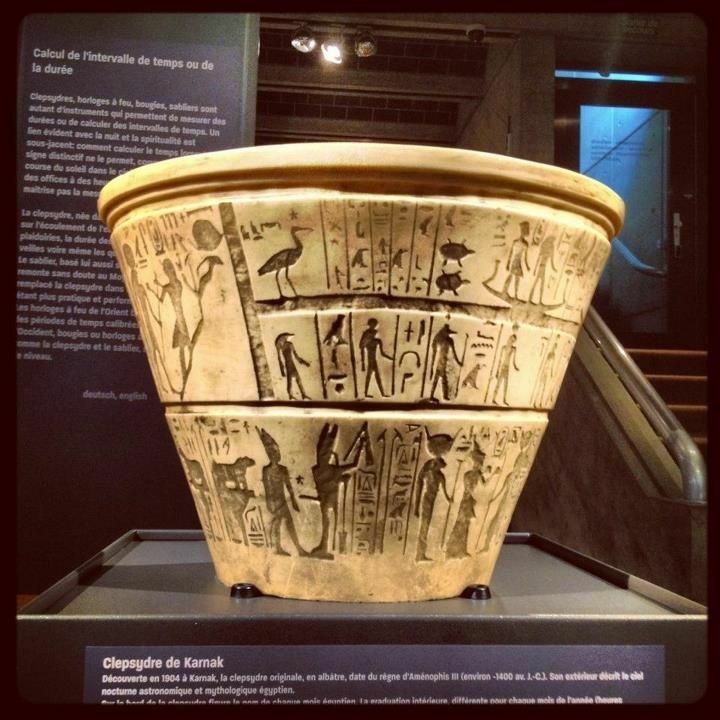 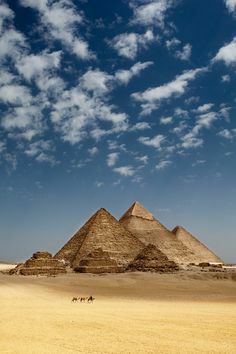 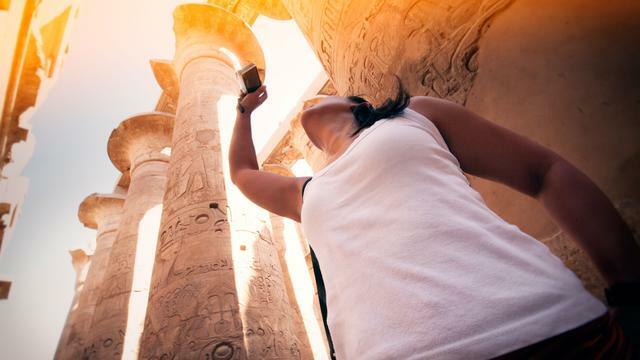 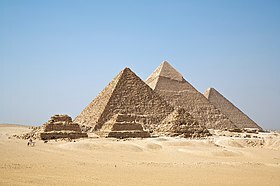 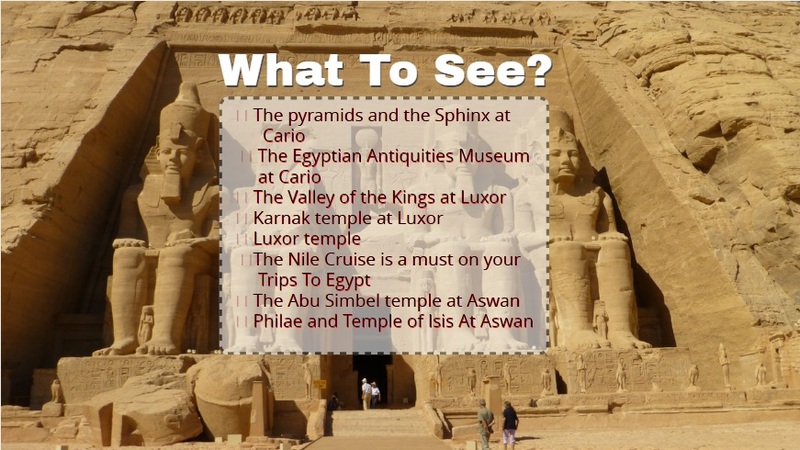 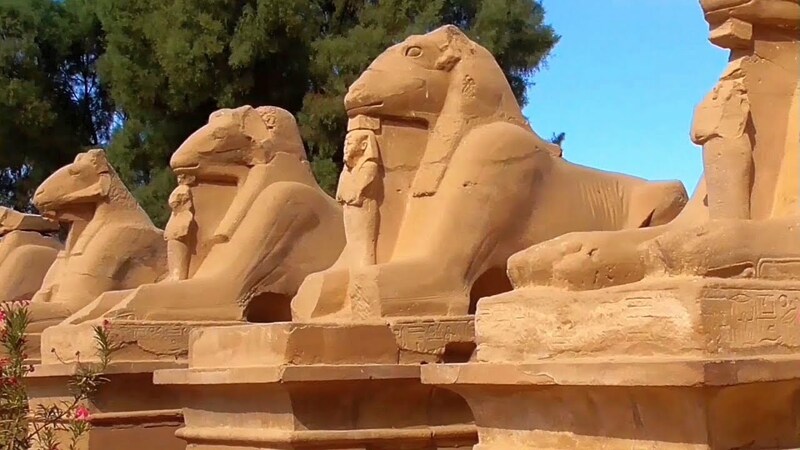 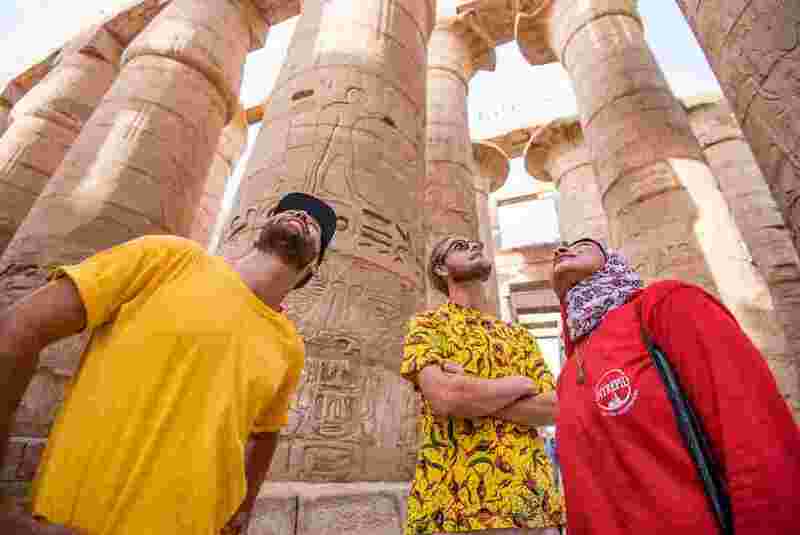 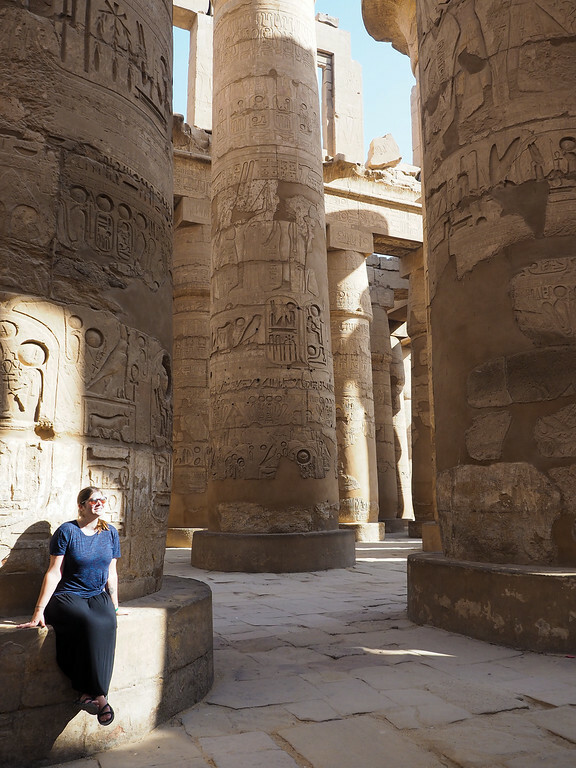 Experience Egypt's remarkable history when you explore Cairo's wonders and temples. 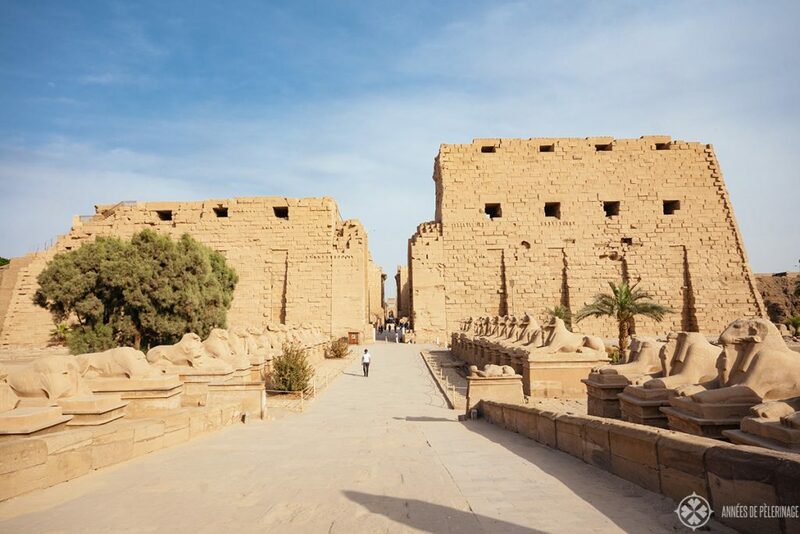 Delve in to the thousands of years old culture and follow their tracks. 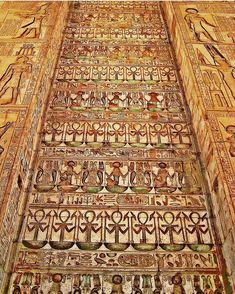 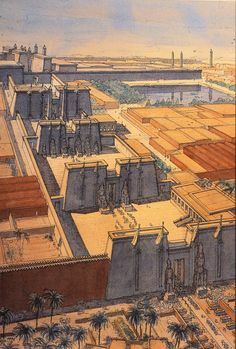 Wall painting from the tomb of Djehutihotep. 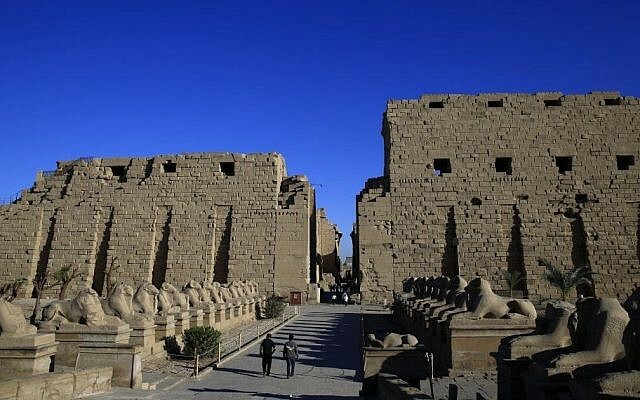 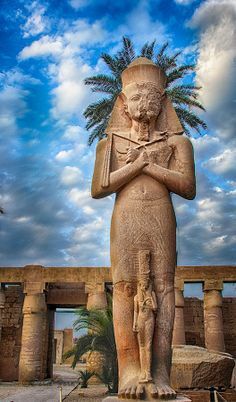 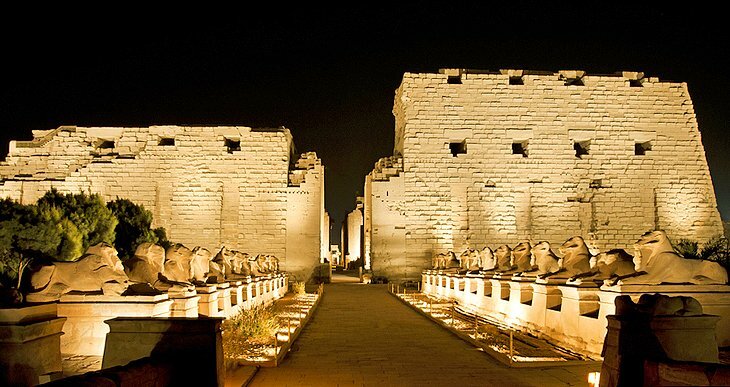 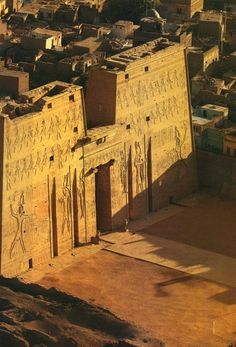 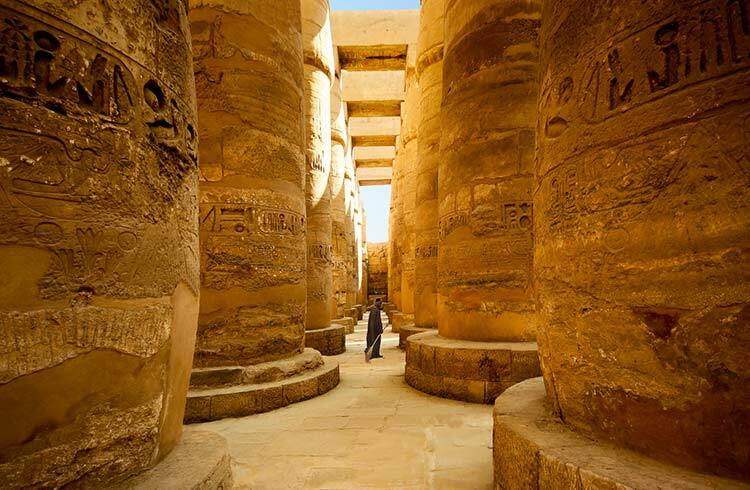 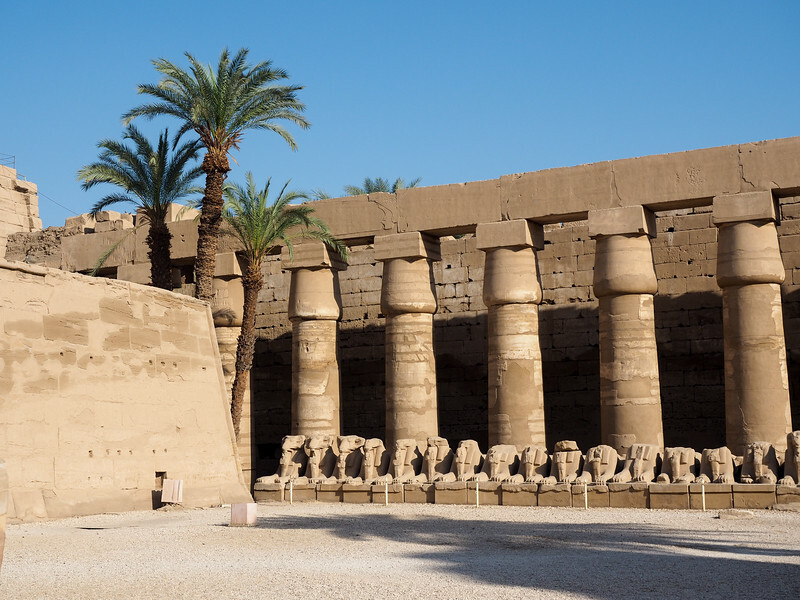 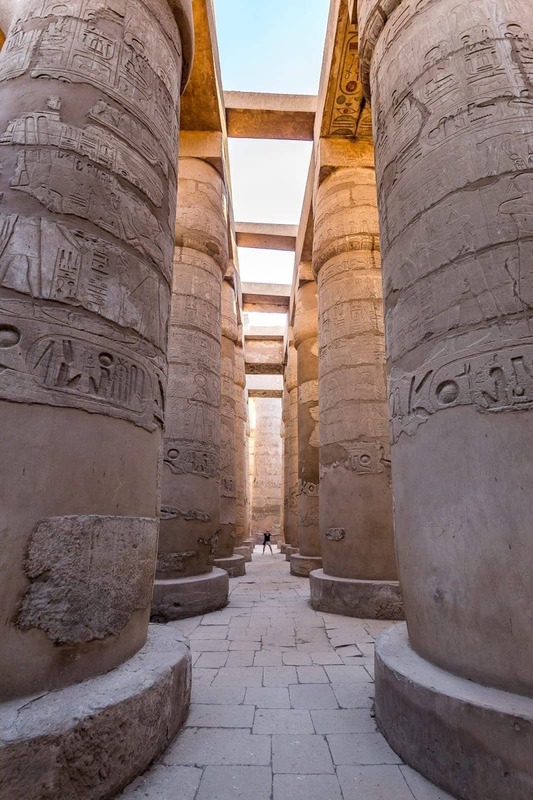 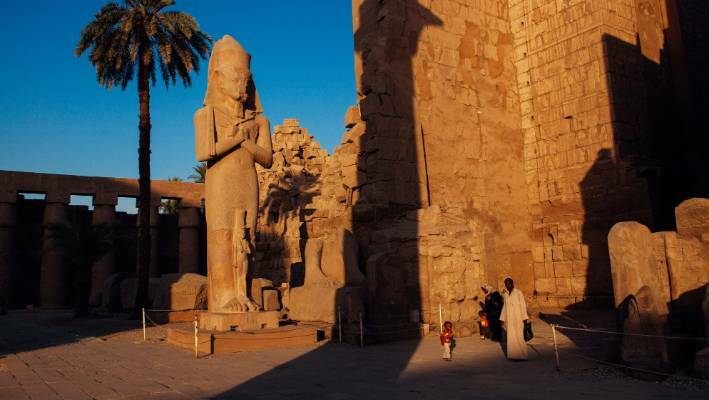 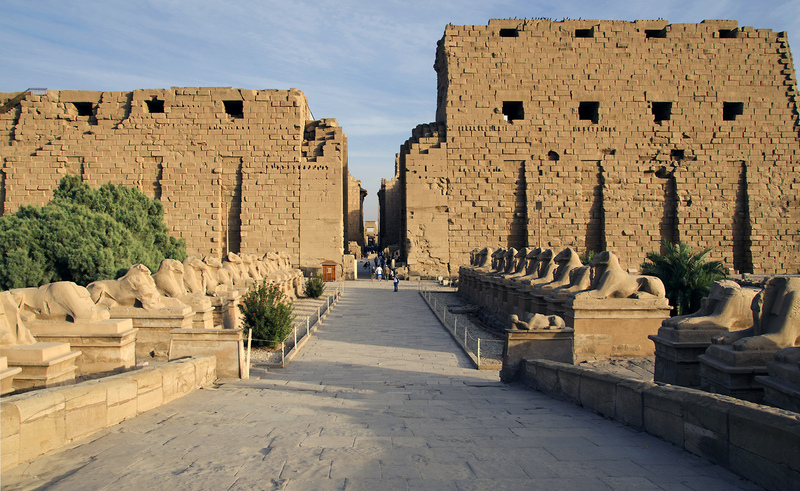 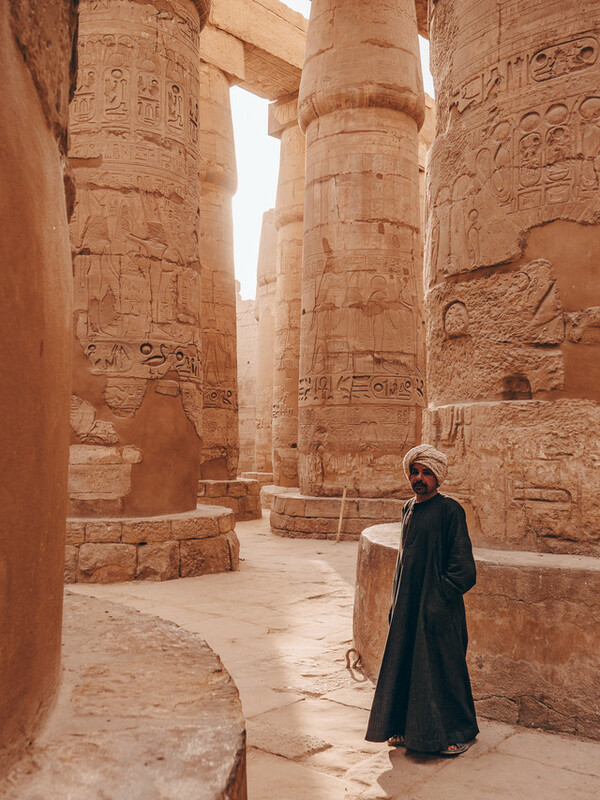 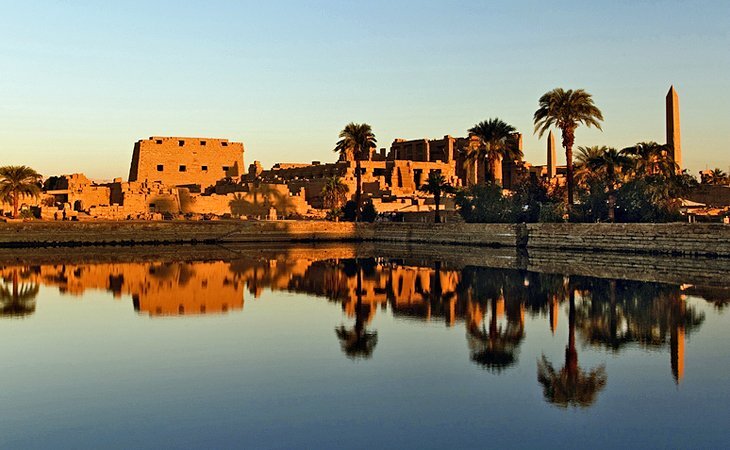 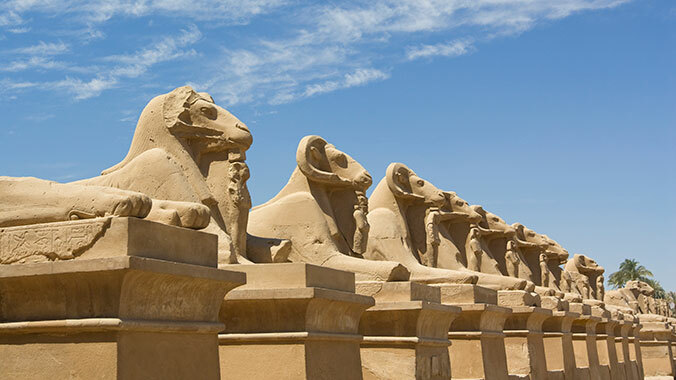 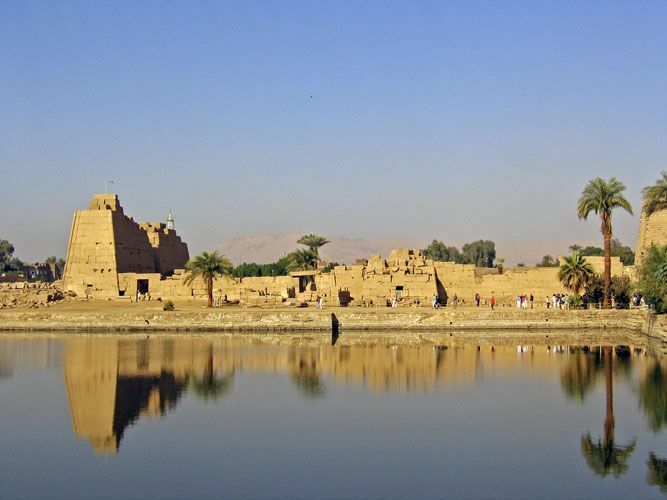 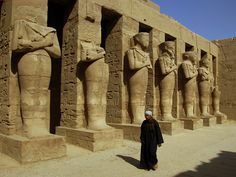 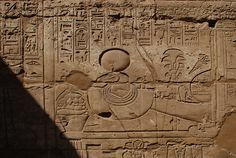 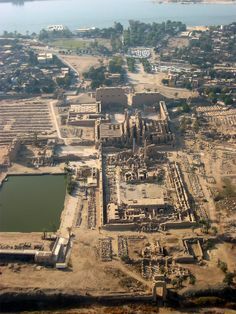 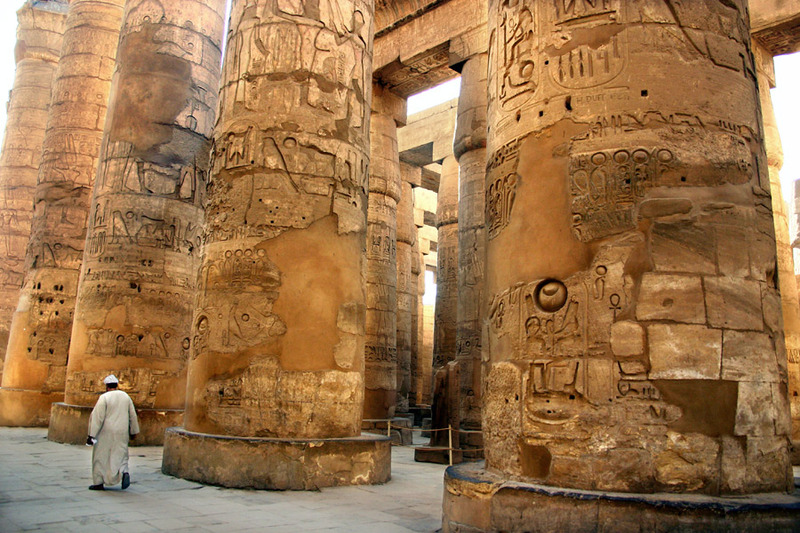 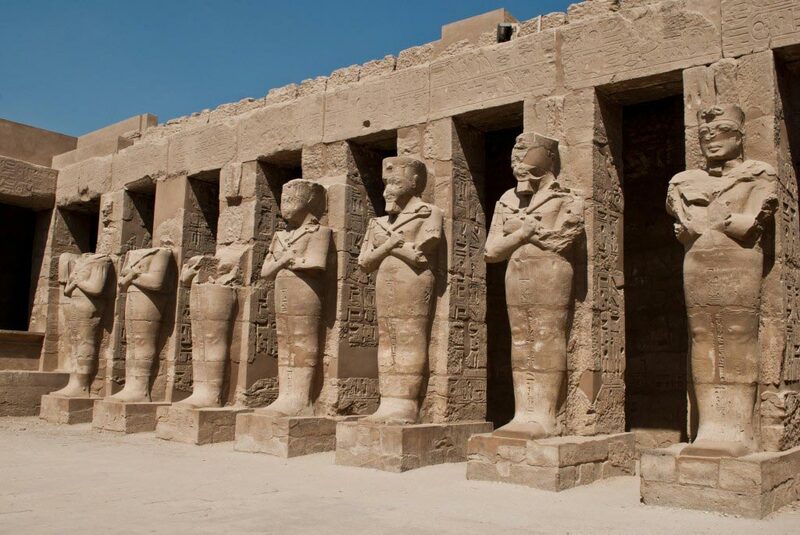 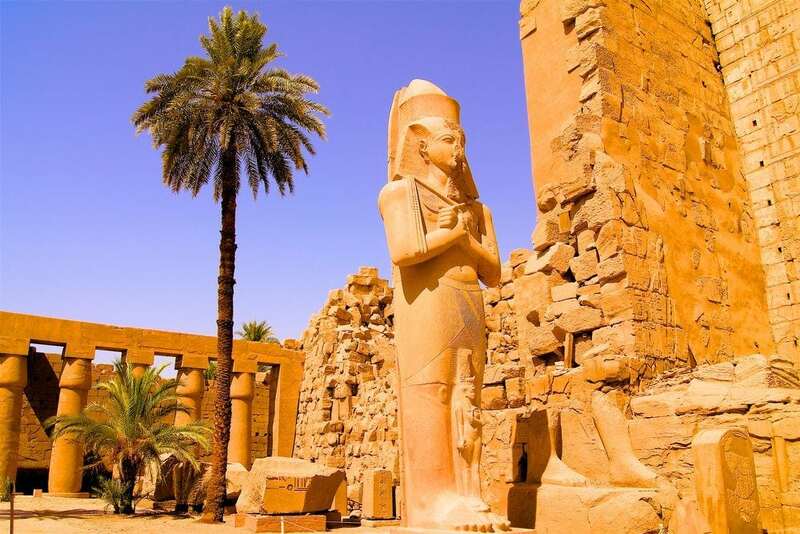 The Karnak Temple is one of the most impressive ancient landmarks in Egypt, Luxor.